Great score. I am a Volpe fan. A great all purpose sport tour / cyclocross frame. I have a newer version (2006) that I set up as my all purpose SS. Comparable to the Surly Cross Check, but lighter and quicker. If you don't like it, sell it to me. 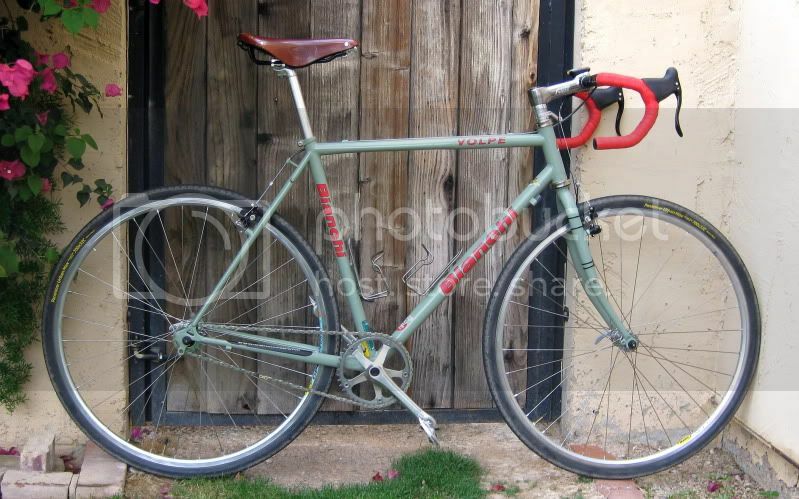 Isn't that Bianchi's gorgeous "Gang Green" colour? Beautiful!